Q. So, what exactly is considered "prior service?" A. If one enlists, spends two weeks at basic training, and then is discharged, and later wants to enlist again, or enlist in a different service, is that person considered "prior service" for enlistment purposes? 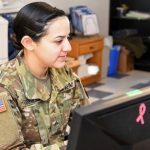 The Army defines "prior service" as any applicant with more than 180 days of military service, or those who graduated from military job-training (MOS/AFSC/Rating), regardless of time-in-service. Individuals with less than 180 days of military service, and/or those who have not completed military job-training are classified as "Glossary Prior Service," and are processed the same as non-prior service recruits, with the exception that they must have a qualifying RE Code (or receive a waiver) on their DD Form 214. The Air Force defines "prior service" as persons who have served at least 24 months of Active Duty service without regard to regular component or continuous service in the Armed Forces. Individuals with less than 24 months of Active Duty are considered "previous service." 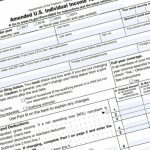 Previous service personnel are classified and processed the same as non-prior service, with the exception that they must have a qualifying RE Code (or receive a waiver) on their DD Form 214. The Navy considers applicants with 180 consecutive days or more of prior active duty service as "prior service." Those with less than 180 consecutive days of prior active duty service are considered non-prior service (NPS) applicants, however they must meet RE-Code eligibility requirements (or receive an approved waiver). Those individuals who have fulfilled their military service obligation within a reserve component. The Coast Guard definition is vague. They define "prior service" as "a person who has served some valid period of creditable service in any of the U.S. Armed Forces, including Reserve components thereof." Q. Will I get to pick a different MOS (Job)? A. 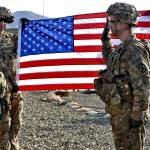 In most cases, prior service candidates must enlist in the military job they had at the time of separation, unless the service declares there is no need for that job. Only then can the member elect to enlist into a different job. Additionally, in many cases, if the member had a military job (MOS) in one service that directly cross-relates to a job in the service they want to join, and if that service has a shortage in that job, the applicant is required to enlist in that particular job. In other words, if you were an Security Forces Personnel in the Air Force , and you wish to join the Army, and the Army has a current shortage of Military Police , you would be required to enlist as an Military Police troop. Only if you held a job that doesn’t directly cross-relate to a job in the service you are joining, or if the service doesn’t have a shortage in that job, would you be allowed to re-train into a different job. Q. Do I have to attend Basic Training again? Q. Will I retain my rank? (1) If prior service applicant has not been awarded an MOS and enlists within 12 months from the date released from active duty (IADT), the enlistment pay grade will be the grade held at time of release from IADT, unless the Reserve Component has promoted the applicant to a higher grade. Applicant must produce DA Form 4187 approving the promotion to the higher grade. (2) If applicant has been awarded an MOS and enlists within 12 months from the date released from active duty (IADT), the enlistment pay grade will be the grade held at time of release from IADT but not less than E-2. 3) If applicant has been awarded an MOS and has 12 months service after release from IADT, the enlistment grade will be the grade currently held up to the grade of SPC (E-5). Applicants in the Army Reserves and Army National Guard who hold the rank of SGT (E-5) and above, will have their active duty grades determined according to the rules below. (1) If applicant was last separated from any Component or is a current member of the Army Reserves or Army National Guard in grades E-1 through E-4 with not more than 7 years Active Federal Service (AFS) and enlists within 24 months from the date of separation, the enlistment grade will be the same grade held at time of separation. If enlisting more than 24 months from completion of military service obligation, reduce one grade for every additional 6 months, but do not go below the grade of PV2 (E-2) unless separated as PV1 (E-1). (2) If applicant was last separated from the active duty Army in the grade of SGT (E-5) with not more than 12 years total active service and enlists within 24 months following separation, or is a current member of the Army National Guard or Army Reserves, the enlistment grade will be SGT, provided the applicant has completed the appropriate NCOES leadership requirements or its equivalent and provided a valid vacancy exists for the primary military occupational series (PMOS) in the grade of SGT. 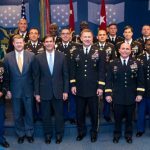 If no vacancy exists in former PMOS, the enlistment grade will be SGT, provided applicant accepts retraining in the MOS provided by the Army Human Resources Command and does not have more than 12 years active Federal service. If enlisting after 24 months from completion of military service, the enlistment grade will be determined by the Army Human Resources Command. (3) If applicant was last separated from any Component or is a current member of the Army Reserves or Army National Guard in the grade of SGT with not more than 12 years AFS, or in the grade of SSG (E-6) with not more than 17 years AFS, or in the grade of SFC (E-7) though SGM (E-9) , regardless of years of service but with fewer than 20 years, the enlistment grade and eligibility will be determined by the Army Human Resources Command. Applicants with more than the numbers of years indicated above are not eligible for enlistment in the active duty Army. 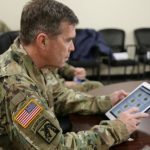 Former members of the Air Force, Navy, Marine Corps, and Coast Guard, including current and former members of their Reserve Components will have their active duty Army rank determined by the Army Human Resources Command, after an examination of their military records and experience. 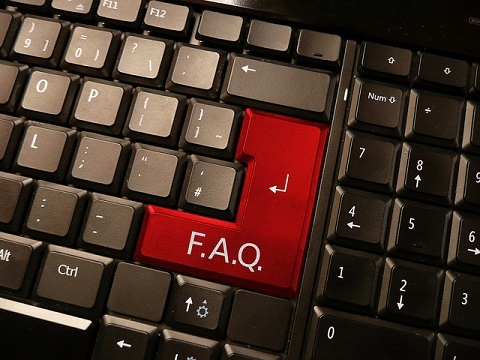 All prior service, regardless of component are authorized to enlist at the advanced paygrade for non-prior service, if that is more advantageous.